Case studies are instructive. It’s great to see examples of real companies growing their business. Experienced email marketers have a lot of wisdom. Some of them are kind enough to share it. Let’s take a look at six surprising email marketing takeaways. Return Path did a case study about email marketing frequency. Their goal was to find the optimal send frequency. In order to find this, they studied 13,836 email subscribers in the apparel industry. It’s common knowledge that subscribers don’t appreciate an abundance of promotional emails. Yet, you would be remiss to think that customers don’t like promotional emails at all. According to the Return Path study, 61% of consumers said they would like to receive a promotional email weekly (or more often). The takeaway is that promotional emails aren’t a necessary evil. Most of your customers like (and want) them. Just like in Goldilocks and the Three Bears, the trick is finding a frequency that is just right. Dashlane competes in the password manager space. If you’re unfamiliar with this space, the first thing to know is many people aren’t good at managing their online passwords. People often reuse passwords, or they forget the complex ones they create. Dashlane creates rock-solid passwords for you, and logs you in automatically. The key takeaway is that a monthly newsletter isn’t right for every industry. Dashlane understands its customer base. Their subscribers aren’t ravenous NFL (or NBA, MLB, or NHL) fans, lapping up news like a thirsty tiger. They are casuals. Sure, they care about security, but they only want an update when something big happens. Moreover, frequency isn’t paramount. Golf Channel, a network owned by NBC, used 13 mandatory form fields on their lead page. That’s an amazing (and skyhigh) number. Let’s take a look at the logic of form fields. If you have a lot of form fields, your leads are more qualified. On the other hand, fewer people will sign up for your list. Naturally, the reverse is also true. Fewer form fields mean more leads, but less qualified leads. Golf Channel decided that less may be more. They reduced their mandatory form fields from 13 to 1. Their marketing director, Carolina Castaneda, remarked, “We were asking you for a lot of information right? There was a high barrier of entry for you to be one of our subscribers.” It turns out her hypothesis was correct. Golf Channel boosted the size of its subscriber database by 32%, a direct result of shedding those mandatory fields. The surprising takeaway is not that removing form fields boosts conversion. This is a well-documented fact (in fact some marketers say a 120% boost is to be expected). The surprising takeaway is that a company would use 13 mandatory form fields in the first place. It goes to show you email marketing basics are misunderstood by large and small companies alike. Dormify is a furniture company that markets to Millennials in college (and those getting their first apartments). They mixed social media and email marketing with impressive results. 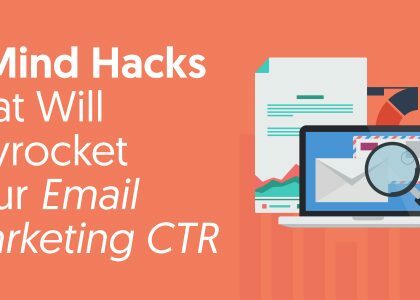 Overall, a series of email marketing improvements helped them bump up their email revenue by a whopping 92%. Here’s what Nicole Gardner, the Chief Operating Officer, had to say about it, “We have a call-to-action that encourages them to share their space on social media. That’s actually been really really successful for us because we see, especially with that age group, they’re highly motivated to show off what they’ve designed and decorated with the products that they’ve purchased.” A gem can be mined from this quote. First of all, this quote is a great commentary about social media. A key takeaway is people like to share things that express their own identity. One of the appealing elements of Dormify is the ability to customize your room. Their furniture combinations, their layout, their style, is different from John (or Daniel) across the street. The ability to express individuality makes it more fun to share. Getting email subscribers to post about your brand is never easy. Yet, if you encourage your subscribers to express their individuality, your chances of success peak. This mix was key to rebranding their newsletter. And what a successful rebrand it was. Ultimately, it led to a 145% engagement increase with their subscribers. Christina mentioned that her competitors usually offered curated content or original content. United Capital was able to outpace rivals by offering both. Let’s take a look at the disadvantages of only offering one type of content. What’s the disadvantage of only sending 0riginal content? Your subscribers are hungry for (good) content. Consider this scenario. There’s a T-Rex outside. Do you think she’ll be happy with a tiny piece of filet mignon? No, she won’t be. You need to give her more meat. But, keep in mind that filet mignon is expensive. Likewise, your email subscribers are hungry for good content. It’s expensive, even cost-prohibitive, to have your employees create a deluge of top-tier content. Trying to completely match effective curation is like rolling a boulder uphill. Yet, undistilled curation has disadvantages too. Think about the first mover principle. Speed is quite the advantage. If you create amazing original content (along with winsome copy), people will love opening your emails. There’s something about original content that can’t be replicated with curation. Perhaps it’s speaking to your unique list with your unique words. Quite simply, a blend of curated content and original content is ideal in many industries. It’s surprising more email marketers don’t use the two in harmony. Here’s a hint about content curation. You can use content curation to make better original content. For instance, you can make an infographic of a popular blog post. Or you can make a good blog tutorial even better by adding screenshots or video. These types of posts are sometimes called skyscraper posts. By curating content, you’ll see what type of content is popular, what kind of content gets the most comments, shares, and likes. This knowledge will edify you, giving you a better read on what the market wants. The State Fair of Texas is rich in history. It’s origins began in 1886. Today the fair has over 3 million visitors. Yet, they refuse to rest on their laurels. They recently realized their email marketing campaign left a lot to be desired. “Extremely valuable” sums it up quite well. You’d be hard-pressed to find a business that wouldn’t jump at the chance to get 16,000 leads for $250. What’s surprising is he got so many targeted leads for that price. It proves that giveaways have the potential to deliver a massive ROI. It was the age of wisdom, it was the age of foolishness. Charles Dickens rings true over 100 years later. The companies in these case studies embody wisdom and foolishness. For instance, the Golf Channel had 13 mandatory form fields on their lead capture page. They admitted that was none too shrewd. Yet, their email marketing team eventually reduced it to one, causing signups to skyrocket 32%. Here’s the takeaway. All companies make mistakes. The big companies. The small companies. The medium-sized companies. Making these errors, these gaffes, is a natural part of email marketing. Don’t get down because of miscalculations. Keep A/B testing. Turn defeat into triumph. Rise on stepping stones of your dead self to higher things.